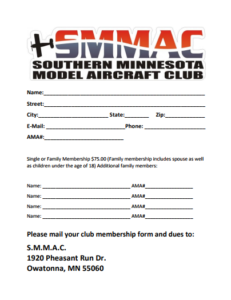 Click the icon below to download a SMMAC Membership Form! 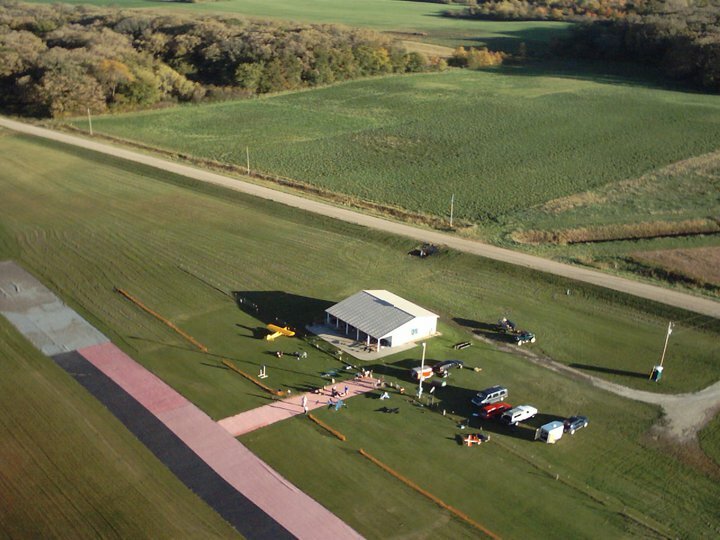 Southern Minnesota Model Aircraft Club is just a few minutes southwest of Owatonna MN. We enjoy a great field with a 650 foot simulated asphalt runway and a 1200 foot grass runway to fly from. SMMAC offers a fun atmosphere for all pilots and their families. We offer a 1200 foot simulated asphalt runway situated on 12 acres of beautiful grass with an open field area that is free of obstructions. The children will enjoy the playground that has 2 slides and plenty of room for them to run around. There are gas grills for members and their families to use. There are clean portable restrooms for your convenience. We also have 120 volt ac / 12 volt DC power along the flight line. The Field House serves as a shelter, hangar, and general hang out space for all. Field maintenance fees are already added to the cost of the membership. All the pilots of the SMMAC club are friendly and willing to help with all aspects of the radio controlled aviation spectrum.